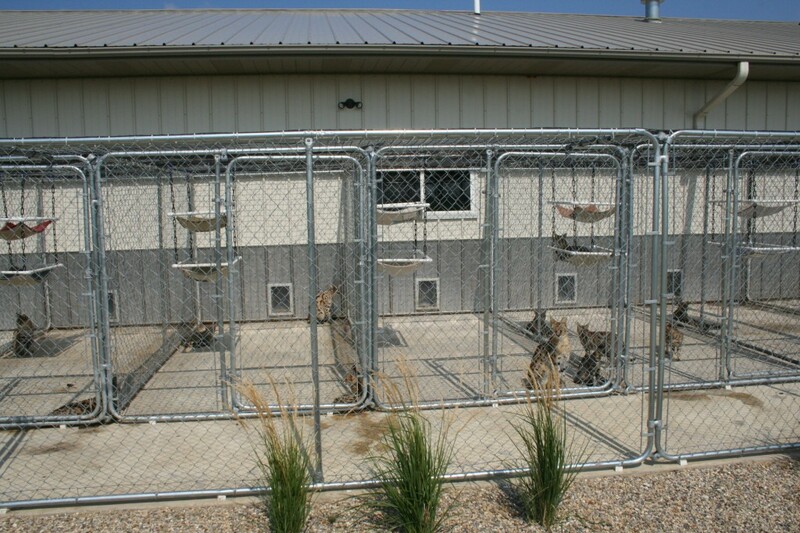 To ensure optimal health of our cats and kittens, we divided the facility into four areas or zones. Each zone is separately heated, including the constant, comfortable climate control provided by in-floor radiant heat. And each area has individual air conditioning with air exchange units that bring fresh air into each zone several times an hour. 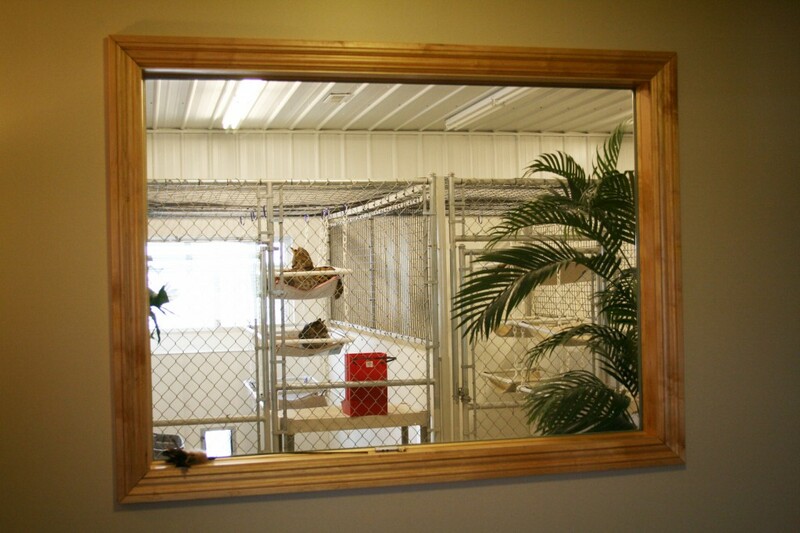 The largest area houses our adult breeding cats who can opt to be indoors or out, up or down. The choice is theirs. They have vertical space as well as floor space, shelves on which to stretch out and their favorite – hammocks. They love hammocks! 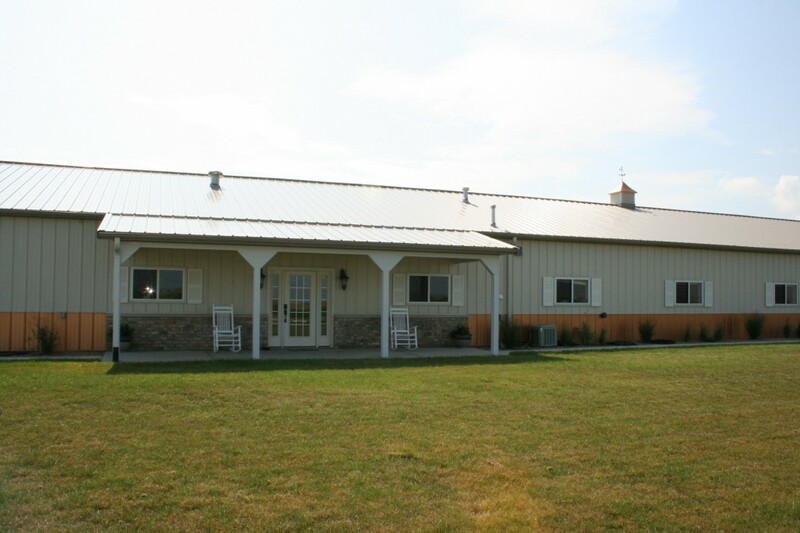 Our breeders are given ample mental stimulation with toys, interaction with people, and their “rooms” are frequently rearranged to enhance their well-being and state of mind. About two weeks before they are due, our queens are brought into the birthing or “kittening” area. This gives them time to settle into their new space and feel comfortable before giving birth. Here, the queens are supplemented with a raw diet before kittening and while lactating to ensure they maintain optimal condition. This area is equipped with a closed circuit camera system which allows us to monitor our queens around the clock. Since we have found queens to be better mothers when left on their own, we prefer not to interfere with their birthing process. However, sometimes they need a little help. 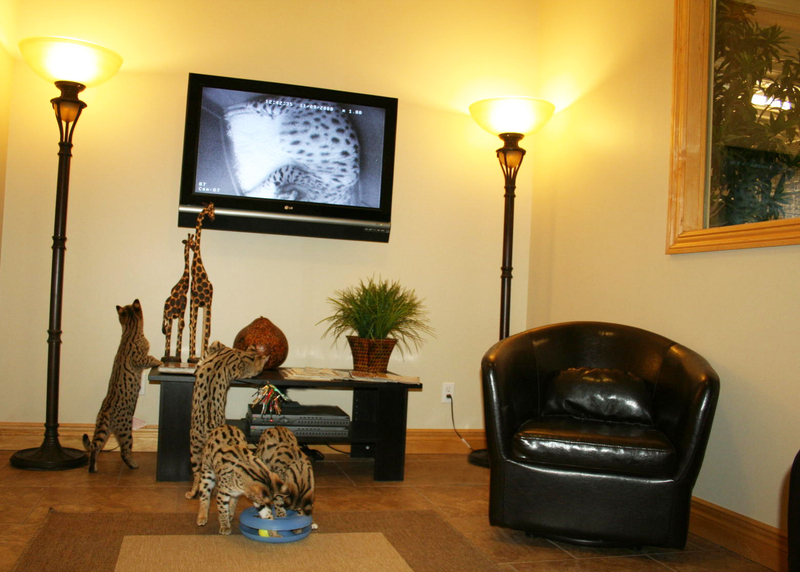 With cameras in place, we can rest easier knowing we can check on them and their kittens at any time. Our kittens receive hands on interaction from day one unless the mother is overly protective during the first few days. We start with about a minute of handling, just enough time to assess their condition, make sure they are eating well, and growing proportionally to each other. We check to see they are clear-eyed and healthy. As they become older, we handle them more and for longer periods of time. After weaning, at six to eight weeks of age, kittens are moved to the kitten area. Since their immune systems are the weakest during the first couple of weeks after weaning, they are kept separate from all adult cats. Here each kitten is held, played with, and given a wet wipe bath every day. We interact with them daily and offer continual mental stimulation with different playthings. This is not to mention the babies’ vast fascination with the I-Robot floor sweeper. The kittens find it endlessly entertaining! 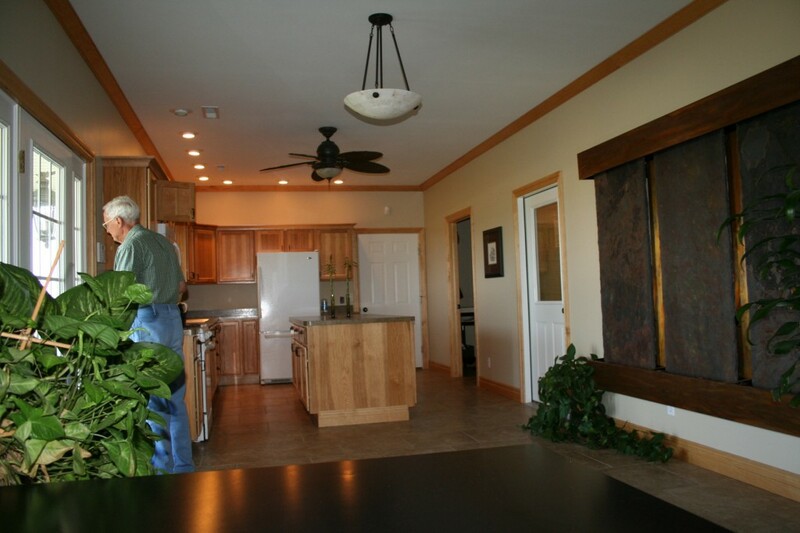 Our fourth area, complete with kitchen, living room, office, and bathroom in a very open layout, resembles a studio apartment. Much of my day, me Holly, is spent here. In our “apartment,” each group of kittens receives daily playtime. The babies are able to interact with Dale, me, and the rest of our crew, including our children who range from two to nine years old. It’s a joy to watch the little ones going full force after the toys as our children giggle in delight. I think our older two would sleep here with the kittens if we allowed them! The facility is incredible. It even includes ample space to focus part of our energy on conservation, breeding small wild cats, an addition to our program to which we have looked forward for a long time.